This special IPL machine includes RF incorporated in the handpiece. IPL and RF together are referred to as E-Light. 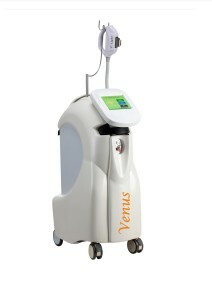 Same as its sister machine Venus Epilite 1, it is one of the most advanced IPL machines on the market. Is a heavy duty machine designed for those salons that IPL is a major part of their business. With a six capacitor bank this machine delivers up to 60J/cm² effortlessly. Special double-filter wave technology, filters out harmful UV radiation. Super-intense cooling system for comfortable treatment.